The Buffalo Sabres left Amalie Arena in Tampa, Florida with a 7-5 loss. It was their 44th regulation loss in 81 games, 56th if you count overtime/shootout losses. Such has been the season for the 31st place team as they head for a high draft pick for the third time in five seasons. There were typical hallmarks of this team in the 2017-18 season. The Sabres started the game looking like they were chilling on a Florida beach and found themselves behind early in the game. Egregious turnovers, lax defense and poor goaltending put the Sabres in a hole early, but they were able to bounce back and eventually take a 5-4 lead. However, they were unable to hold on, which isn't surprising considering the speed and firepower that the Tampa Bay Lightning have at their beck and call. Buffalo came oh so close to tying the score with the goalie pulled, but in a tale of two goalposts, the Sabres' Evan Rodrigues hit the outside of the post with a wide open net and Tampa's Victor Hedman sent a 200' shot that caught the inside of the post and went in. The Sabres knew this year was over months ago and looked like they'd packed it in. Except when playing against top teams in the division. From February through last night, the Sabres went 6-3-0 against Atlantic Division leaders Tampa, Boston and Toronto. Buffalo was also a very respectable 6-5-1 on the road during that time which included a 7-4 win over the NHL's top team, the Nashville Predators, to close out the month of March. For those of us in Sabreland who've been watching nearly every game, it's things like that make this season a head-scratcher as to how could this team have looked so bad so often this season. "A lot of things worked against Buffalo but [head coach] Phil [Housley] kept them together," said Lightning coach John Cooper via Mike Harrington of The Buffalo News. "Instead of folding down the stretch, they dug their heels in and played teams tough, including us. As an organization, they've found out a lot about themselves, they've done it the right way and they're set up to do some good things next year." There are some good things on the horizon for the Sabres, and one of them was on display last night. Forward Casey Mittelstadt (2017, 8th-overall) scored his first NHL goal on a play that displayed poise, patience and skill. It was Mittelstadt's fourth point (1+3) in his first five NHL games and outside of those stats, the former Minnesota Golden Gopher who signed after his freshman season looks like he could be a big part of Buffalo's future. Nylander's goal was set up by another future bright spot for Buffalo, defenseman Brendan Guhle who was a 2015 second round selection (51st.) The athletic Guhle is an excellent skater with great vision who's been making waves while working his way up through the system. The Edmonton, Alberta native has been up with Buffalo since March 5 and has helped move the defense forward. Buffalo has played Tampa three times in the past seven weeks and have beaten the Lighting twice. There other meeting came on November 28, a 2-0 shutout win for Tampa. 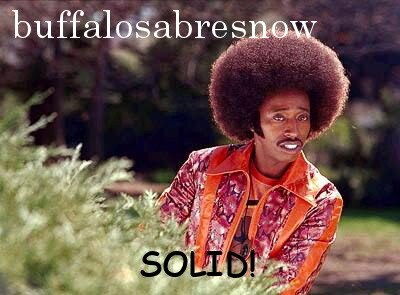 In that time the Sabres have made some serious progress according to Cooper. "They've improved dramatically through the year and that's a good sign for them," he told Harrington. "They've got some good players. I had an up-close look at Ryan O'Reilly at the World Championships (for Team Canada) and he's a big-time player. Jack Eichel goes down for how many games? That doesn't help." Tampa Bay is always one of those teams who are looked to as an ideal for a rebuild and they've been building this Stanley Cup contender for quite a while beginning in 2008 when they drafted Steven Stamkos first-overall after finishing tied for last with the Los Angeles Kings that season. The Lightning finished second-last the following season and drafted Victor Hedman second-overall in the 2009 NHL Draft and in two drafts they had their franchise center and a bona fide No. 1 defenseman. Those two picks were added to a team lead by two Stanley Cup Champions, and probable future Hall of Famers in Vinny Lecavalier and Martin St. Louis. The Lightning hired Steve Yzerman as their general manager in May, 2010 and after struggling with Rick Tocchet and Guy Boucher behind the bench, Tampa hired Cooper who took over the team late in the 2012-13 season. The Lightning have drafted well with 11 homegrown players on their present roster ranging from the eldest, Alex Kilorn, drafted in 2007 (77th) to the youngest, Anthony Cirelli in 2015 (72nd.) In all their homegrown picks consist of four first round picks on the roster, two 2nd's, three 3rd's, one 4th and one 6th. And from 2007 to 2013, the Lightning have drafted 15 players who have played in 100 or more NHL games. Smart drafting (to go along with Stamkos and Hedman) and good trades have lead to playoff appearances in what will end up being four of the last five full seasons under Cooper with a Stanley Cup Finals appearance in 2015 and an Eastern Conference Finals appearance in 2016. 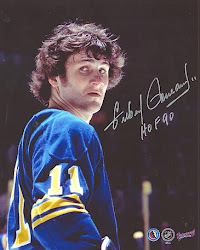 Although Cooper's words on the Sabres might be construed as some obligatory nod to an overall poor team with some definitive talent who happened to give his team a hard time, there's a lot to look forward to in Sabreland. The Lightning missed the playoffs twice after drafting Stamkos and after making it to the Eastern Conference Finals in 2011, missed the playoff two more times while they transferred away from their old core with Lecavalier and St. Louis and build around their new one featuring Stamkos and Hedman. The Sabres have Eichel, and O'Reilly down the middle and be will joined at center in the top-nine next year by either Mittelstadt or Rodrigues who's really starting to find his NHL groove. Sam Reinhart, despite having an awful game last night, is climbing up towards his second-overall draft status while Guhle should help transform the back end. Rasmus Ristolainen should continue being a workhorse status pumping in 40 points from the back end and there are a host of others like Nicolas Baptiste, Justin Bailey, C.J. Smith and Nylander who will have ample opportunity to make the club out of camp. There's one more game in this terrible season but it looks as if things may be coming together, at least talent-wise. Although there's still a long way to go, there are some positives to take with us into next season.